The call came on my day off, asking me to go see a client who was not feeling well but was refusing to go the emergency room. So, I delayed my shopping and errands, changed my clothes, grabbed my bag, and headed cross town to her home, which was located about fifteen minutes from my neighborhood. When I arrived, she was supine in bed, the home health aide by her side. Questioning her, I could perceive nothing more than neck and leg pain, something that the orthopedist had recently confirmed as being caused by worsening chronic osteoarthritis. "Have you been taking your pain medicine?" I asked. "Not really," she replied. "I don't like to take that stuff." She made a face. "Well, you might want to think about taking it at least a couple of times a day when the pain is this bad. You might not like taking it but it may help you to feel a little more functional." "Maybe you're right. I'll try it and see how it goes. They're sending me to the pain clinic, anyway." I did a thorough head to toe exam. She was neurologically intact, her bowels were normal, her urinary function was normal, and her lungs were clear. All vital signs were perfect. She denied reports that she had vomited the day before, but her mild dementia could be the reason she couldn't remember. Checking the home health aides' notes, I realized that no vomiting had been documented, so who knows if it happened or not? A few recent falls were documented though, and the bruises on her shin and ankle told the story. "Did you hit your head when you fell? Was it scary?" "No," she replied. "Not particularly. I caught myself but I knocked down a lot of papers and magazines in the process." Her house is covered with piles of mail, papers and magazines that the aides are constantly trying to reduce. As if to illustrate that fact, the home health aide made a move to retrieve the bottles of medications from the bathroom, and yet another pile of magazines cascaded to the floor. We both stooped to pick them up as our client watched from her bed. Sitting on the edge of the bed and chatting with my client and the home health aide, I evaluated her speech, made certain that her facial features seemed even and smooth, and had her push her feet against my hands to test her strength. All reflexes were normal, her grip was strong and even on both sides, and I could see nothing wrong aside from the chronic pain that has dogged her for years. I was perplexed that the home health aides had made the assessment that she was acutely ill.
"Well, I know you're not scheduled to have an aide on Saturday and Monday, but I'm going to recommend that you have daily care for the next week, at least until you feel a little bit better and can see your primary doctor and get that referral to the pain clinic." I began to pack up my things. "OK. That sounds fine. It's just so frustrating to be so limited. The pain is horrible, and I'm lonely." I held her hand, chatted for a few more minutes, and took my leave. The home health aide was going to stay an extra hour, and I called the office to have daily care approved for the coming week, and drove home to continue my day off. The next day, my supervisor called to tell me that the morning aide arrived to the house, let herself in, and found our client dead in her bed, reclining in the same position in which I had left her the day before. I was shocked at the news, and immediately began to question my assessment. Had I missed something? Was there a clue I had overlooked? Was I remiss at not sending her to the emergency room? Would my skills and license be brought into question? There has been no answer as to the cause of death for this woman who appeared, for all intents and purposes, to be suffering from chronic pain, loneliness, and a slowly progressing dementia. I am certain that my assessment was accurate and that she was not acutely ill that day when I was called to her home to assess her. Still, the questions linger, and they are most likely questions that will never be adequately answered. May she rest in pain-free peace. 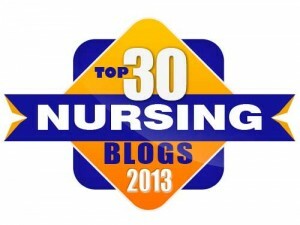 Yet another edition of Change of Shift is up and at 'em, bringing the world some of the best nurse bloggers on the web. So, make yourself an iced tea (or maybe a gin and tonic), curl up on the hammock, and help yourself to some good summer reading! Celebrating my 46th birthday this week has been a wonderful exercise in being grateful for all of my blessings, and the need to take grateful stock of my life is underscored by the persistent presence of sickness and death that is such an intrinsic part of human existence. As a nurse, I have worked with the dying and the chronically ill for many years, and their struggles are a reminder that our hold on this mortal coil is tenuous, at best. Several years ago, my wife and I spent about three weeks living at my mother's house in New Jersey, caring for my step-father as his body slowly diminished in its power and presence at the hands of pancreatic cancer. Presiding over his dying process and his death was a powerful and moving experience, and despite my many years of nursing, his was the first death that I witnessed firsthand. That last gasping intake of breath was profound in its finality, even as we waited for the exhalation that never came. I noted how quickly the life force left the body, and how quickly we shifted from care-taking to grieving in the space of one breath. In 2001, a very close friend of our family was gunned down by the police in a circumstance that might be plausible in a movie or novel, yet was wholly unreal to those who witnessed it and those who survived his horrible passage from this world to the next. Distressed, he had called our home to solicit our assistance moments before the police burst in and riddled his body with seven bullets, and we heard his dying cries of love on our answering machine as he lay bleeding. His death was indeed something almost beyond belief, and the post-traumatic stress that followed was life-altering. Last year, a dear friend took his own life after years of struggling with chronic pain, depression, and an undiagnosed cognitive condition that robbed him of the ability to use his brilliant brain in the way in which he was accustomed. Memory failed him, words were slow to come, and the loneliness that he experienced was simply too profound for him to see a way to continue on. His 51st birthday would have been last Friday, and I miss the opportunity for him and I to celebrate our August birthdays together, Leos in heart and spirit. Another close friend was diagnosed with an advanced cancer a few months ago, and this shocking news of urgent surgery, treatment and the potential for death from the ravages of the disease were yet another wake-up call. She is literally fighting for her life while she also faces her own mortality square in the face with courage and understanding that our time on this earth is indeed limited, either by illness, fate or irreversible circumstance. She is a shining example of grace and courage in action. The other day, it was revealed that a close friend's sister died suddenly at 42, leaving a young daughter without a mother and a confused group of family members and friends. Sudden death is perhaps the most difficult to digest and understand, but acceptance is still the eventual goal, no matter how challenging the path to that state may be. So, birthdays come and birthdays go, and we move forward in our lives with our petty complaints, our desire to do better, and the courage to continue on even in the face of monumental loss and grief. Birthdays are indeed a time for celebration, but they are also a moment for reflection, atonement, and the realization that this very birthday may very well be our last. In light of that reality, why then do we waste such precious time with the minutiae of our complaints, problems and apprehensions? This is one of the puzzles of human life, and perhaps this year I will learn even more deeply that my time on this earth is limited, that these days are precious beyond description, and that it's time to live life without regret and hesitation. Perhaps this is the year when I will realize the enormity of the gift, embracing life with the open-eyed wonder that its many mysteries deserve. Happy birthday indeed. I am honored to report that my most recent submission to Change of Shift (everyone's favorite nursing blog carnival) is featured as the "editor's choice" at the top of this week's edition. I hope you can stop by, peruse this week's offerings, and praise Kim from Emergiblog for her consistently excellent work.